Well known DJ, producer and only 25 years old. Let us present to you: Alvaro! Alvaro, also known as Jasper Helderman has been in the house-scene for more than 4 years now. Since producing hits like Make the crowd GO, Voodoo People, With my hands up (ft. Will.I.Am & Lil Jon), Show me Love (ft. Far East Movement) Wataah (ft. The Partysquad) (2012), Pitbull – Bon Bon (2011) Dubbelfriss, I want you (2010) Took The Night and Make It Funky (2009), he is more dedicated than ever to become one of the best artists Holland has to offer. Thanks to his trusted style of music, his creativity, rhythm and his energetic way of performance Alvaro is loved by many fans and artists all over the globe. Because of his growing reputation and success, Alvaro got the opportunity to travel around the world and let party-minded people worldwide enjoy his music. 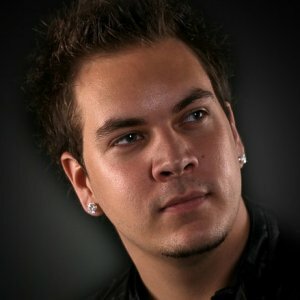 Alvaro is also famous for many remixes that got the attention of some superstars in the music business. Nowadays, Alvaro is collaborating with artists like Will.I.Am, Pitbull, Far East Movement, Lil Jon, Diplo, Mayor Lazor. His music is supported by many artists like David Guetta, Afrojack, LMFAO, Pitbull, Usher, Lil Jon, Far East movement, Laidback Luke, Chuckie, Sidney Samson, Diplo and many more. Due to his busy schedule, make sure you’re on time to book him for your event or get your tickets for one of his shows. A performance by Alvaro guarantees a great party vibe you definitely want to check out! Heeft u vragen over beschikbaarheid, prijzen of het boeken van artiesten? Neem dan gerust contact met ons op! We sturen altijd binnen 24 uur een passende reactie of vrijblijvende offerte.